Artists' Retreat, B&B lodging for groups, and Fine Dining Club, located in Athens, Texas. Study art with Bruce Peil, American Landscape Artist--Plein-air and Studio Workshops. 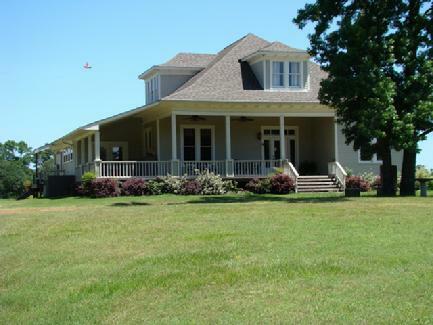 Meadowlark Fields Country House is located on 50 pastoral acres, approximately four miles South of Athens, Texas. The Country House was built in 1913, and has been refurbished keeping all the warmth and character of days gone by. sleep up to 10 people. If your group would like Food Service provided for all, or most, meals during your stay, please inquire. Artists: Bruce Peil's Fine Art Studio and Gallery is housed in the remodeled1940's dairy barn. Art workshops and lessons with Bruce Peil are available ~ see Studio Link. see gate & sign on the left.